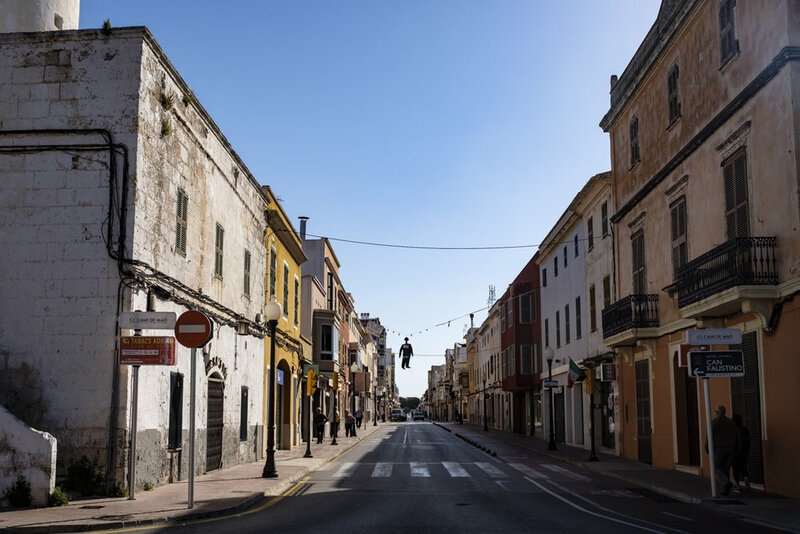 I was lucky enough to be able to spend Easter week travelling across the beautiful Spanish island of Menorca, a trip which provided some much-needed spring sunshine and some great photography opportunities. Aside from the stunning scenery, I also documented some of the unusual local traditions and festivities over the Easter weekend in Ciutadella. On the evening of Good Friday we watched the sombre ‘Santo Entierro’ or Holy Burial processions take place where local religious guilds, each in different coloured tunics and towering masks, carry religious effigies around the city to the sound of drums and mournful music. The procession recreates the last days of Christ and is an ancient tradition marked across Spain. The experience as a bystander made the hairs on my neck stand on end, made all the more haunting by the silence in the streets between parades and the gentle swaying of the procession walking in time. On Easter Sunday the atmosphere had completely changed with a sense of festivity and celebration in the city, with streets and squares full of people spilling out of the local cafes. One tradition entirely unique to Menorca is the ‘Matances de Bujots’ (the killing of the straw men), where straw figures or ‘Bujots’ (literal translation rag doll/someone who has no personality) of topical figures are made in secret by local groups. The Bujots are then doused in petrol and hung up over the streets with signs explaining their ‘crimes’ such as greed or ineptitude. At noon across the city groups of gunmen arrive to kill the Bujot, greeted by cheers from the crowds. They start by shooting down bags of sweets hung alongside the figures which burst over the street for children to collect. Then using specially prepared blanks they shoot the effigy until it catches alight. The shots are deafening as they ring across the city, punctuated by huge cheers from the crowd when the straw starts to burn. The shooting continues until all that remains is a burning pile of straw on the ground with only a melted mannequin’s head swinging above the street on a wooden frame. It was fascinating to see such colourful celebrations across the Easter weekend which felt very different to the more muted festivities I am used to at home, and I was delighted to gain such insight into local traditions. My experiences in Menorcan will continue in my next blog on the dramatic locations and lighthouses of the island, and as always, I really appreciate any comments or thoughts so if you have any questions please get in touch by email at lawrence@eaglingphotography.co.uk, Instagram @lawrence_eagling or twitter @LawrenceEagling.